It all started when I saw 57’s live performances on Facebook which has been constantly shared by my UK friends. 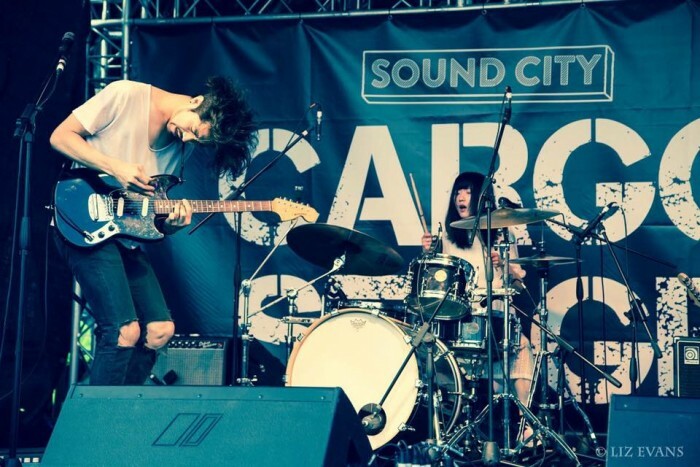 In 2015, 57 had their first oversea tour at six venues in the UK including Liverpool Sound City. Last year, I had the opportunity to attend the Zandari Festa 2016 in Seoul. That is where I saw 57’s live performance before my very eyes. Plenty of raw and emotional energy that give so much hot and chills through your blood veins. You can check out my coverage on 57’s performance during the first day of Zandari Festa 2016 here. To start off, let’s have a look on what 57 is all about. Snow started playing the drums in a band when she was in high school which led her to love music. On the other hand, nine years ago, Junhong Youn went on a holiday to check out the Summer Sonic Festival in Japan. After seeing amazing musicians like Coldplay and Zebrahead, they change his life that he decided to perform just like them. A couple of years later, Junhong was previously perform together with a punk band in Jeonju (57’s hometown) while Snow was working at the pub. When the band was disbanded, JunHong approached Snow as he was looking for a drummer. After having some thoughts, Snow joined and formed together as trio, Rainbow Stage. However, one member left and later they formed as the band duo 57 (pronounced Oh-Chill in Korean) in May 2014. The band name 57 was inspired by the song’s name that is featured in Biffy Clyro’s (their favourite band) album Blackened Sky and the combination of their age 27 and 30. However, as there are not many venues to perform in Jeonju, they perform elsewhere during the weekends at nearby regions like Gwangju, Daegu, Ulsan and Busan. 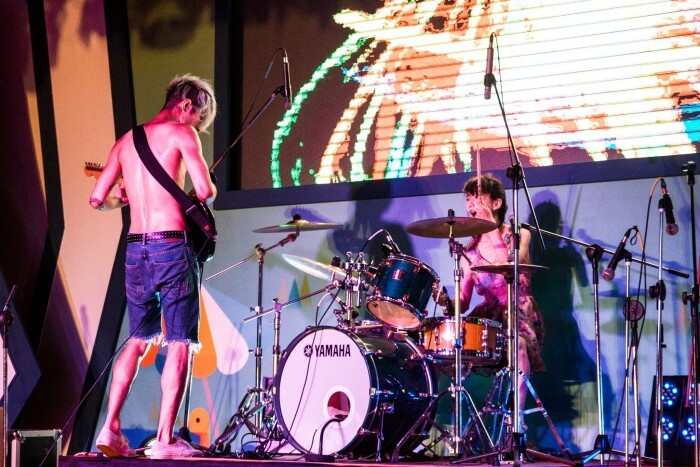 After performing in many venues including their first appearance at the Zandari Festa, they decided to bring their music to Seoul as it’s a huge opportunity to widen their music career and gaining more experiences in the indie music scene. They also released their debut EP, 57, which conveys their raw energy in both songs and live performances. In 2015, 57 won first place at KT&G Band Discovery and reaching the finals of Hello Rookie. From there, they continue to make appearances at major music festivals including Jisan Valley Rock Festival, Busan International Rock Festival, Jeju Stepping Stone Festival and Zandari Festa. As mentioned earlier, last year, they had their first three-week UK tour including their performances at Night & Day Café in Manchester and The Windmill in Brixton, London. Also, they released a single Pray for the Dead which has sentimental and emotional tune. 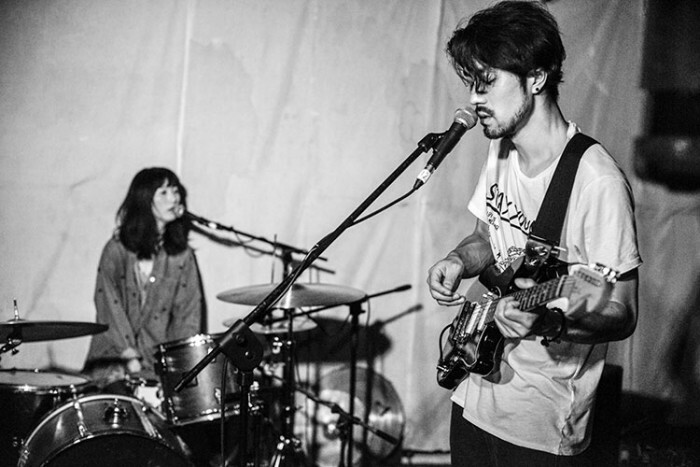 Let’s hear both their debut EP 57 and single Pray for the Dead, influenced with a blend of alternative, garage, and punk rock that led to represent their music which “flows and explodes like lava”. 57 simply couldn’t let your heart take a break at the start and then you relax at the very end. Be prepared as the title song U&I and How Can I are ‘straight off’ powerful once you press the ‘play’ button. Junhong’s sonic speed guitar playing by and his raw vocals together with Snow’s non-stop pounding drums and energetic supporting vocals convey strong mind-blowing energy that seeps into you immediately. U&I and How Can I keep your heart racing and blood boiling. Get Away and June let you settle down for a while but unexpected explosive upbeats keep you on hot seats as you can hear middle and fast tempo beats in every verse and chord. Towards the end of 57, you will listen to the chill-out Bonfire, Stray Dog and Then. The whole EP has the balance of flow and explosive sounds with plenty of fiery excitement and chill-out vibes. Based on their personal experiences, they share their stories and sorrows through Pray for the Dead. Snow and Junhong sing the same lyrics lyrics in the first few verses meaningfully followed by the emotional instrument tunes at the second part of the song resonate heartfelt conversations with loved ones who left. Those who have gone through the stage of letting go will feel the sadness and pain that are crying silently. Recently, they had just announced that they are going to go big this summer: going on a Europe tour in May and June. Not only they will be touring across the UK, but they will also be in Germany, France and Poland. Here are the dates and venues on where they will be in Europe. Check out the interview with 57 here. Find out more about 57 at Facebook, Twitter and Soundcloud.